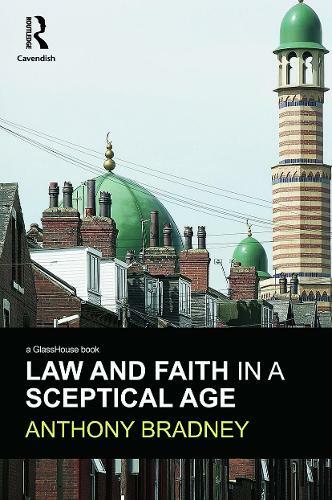 Law and Faith in a Sceptical Age is an analysis of the legal position of religious believers in a dominantly secular society. Great Britain is a society based upon broadly liberal principles. It claims to recognise the needs of religious believers and to protect them from discrimination. But whilst its secular ideology pervades public discourse, the vestigial remains of a Christian, Protestant past are seen in things as varied as the structure of public holidays and the continued existence of established churches in both England and Scotland. Religious, Christian values also form the starting point for legal rules relating to matters such as marriage. Active religious communities constitute a very small minority of the population; however, those who belong to them often see their religion as being the most important element of their identity. Yet the world-view of these communities is frequently at odds with both the prevailing liberal, secular climate of Great Britain and its Christian, Anglican past. This necessarily entails a clash of ideologies that puts in question the secular majority's claim to want to protect religious minorities, the possibility of it being able to sufficiently understand the needs of those minorities and the desirability or practicality of any accommodation between the needs of the various religious communities and the secular mainstream of society. Law and Faith in a Sceptical Age addresses these issues by raising the question of whether a liberal, secular state can protect religion. Accommodation to different religious traditions forms part of the history of the legal systems of Britain. This book asks whether further accommodation can and should be made.